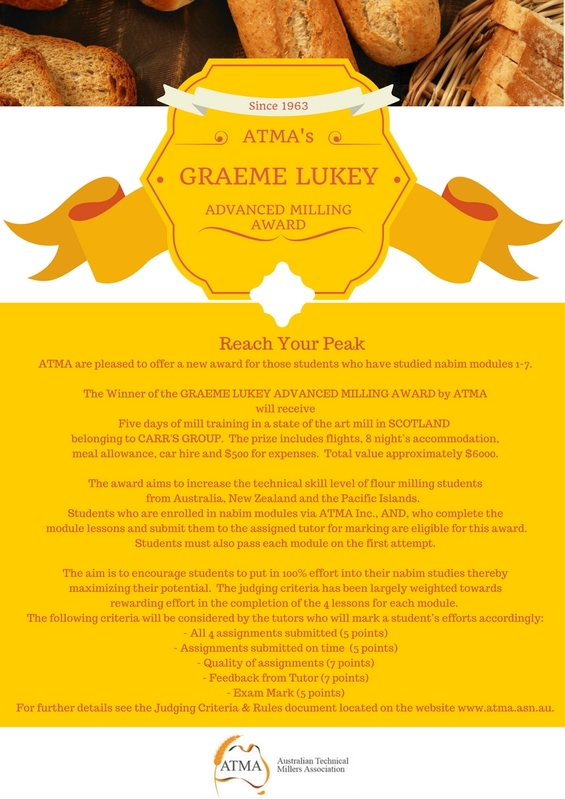 ATMA's Graeme Lukey Advanced Milling Award is for those students who have studied nabim modules 1-7. The Winner of the GRAEME LUKEY ADVANCED MILLING AWARD by ATMA will receive FIVE days of mill training in a state of the art mill in SCOTLAND belonging to CARR'S GROUP*. The prize includes flights, 8 night’s accommodation, meal allowance, car hire and $500 for expenses. Total value approximately $6000 plus the training component. The award aims to increase the technical skill level of flour milling students from Australia, New Zealand and the Pacific Islands. 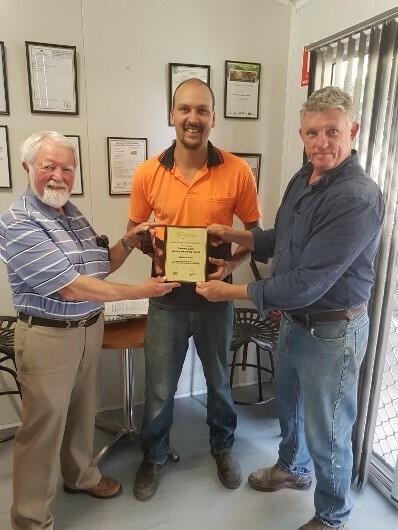 Students who are enrolled in nabim modules via ATMA Inc., AND, who complete the module lessons and submit them to the assigned tutor for marking are eligible for this award. Students must also pass each module on the first attempt and hand in at least 75% of assignments to be eligible. The aim is to encourage students to put in 100% effort into their nabim studies thereby maximizing their potential. The judging criteria has been largely weighted towards rewarding effort in the completion of the 4 lessons for each module. * Subject to change to a similar mill elsewhere should Carr's Group be unable to host the training.